Star Wars: Galaxy’s Edge will open in Walt Disney World on August 29, 2019! 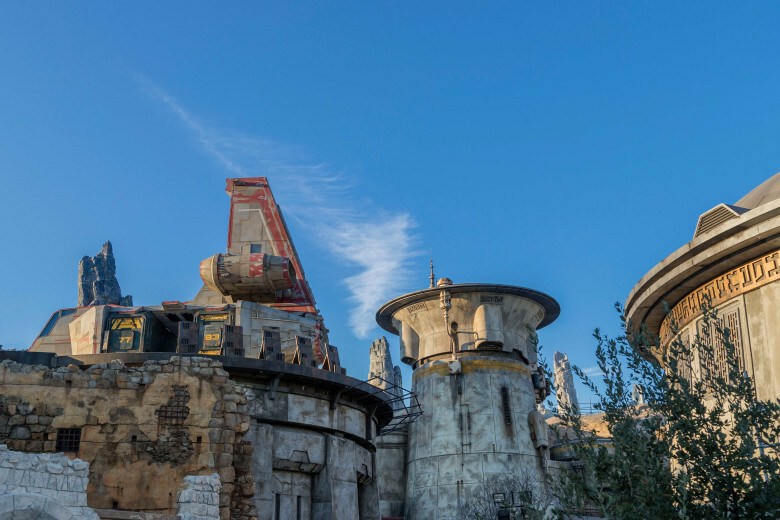 And Black Spire Outpost — the village on the planet of Batuu where Galaxy’s Edge is set — will serve up plated eats in a restaurant topped with a Delivery Shuttle — hence Docking Bay 7 Food and Cargo! Proprietor Chef Strono “Cookie” Tuggs runs the kitchen, having honed his skills in the kitchen of Maz Kanata. The menu of this restaurant will include regional delicacies like Oven-Roasted Burra Fish and Smoked Kaadu Ribs! Menu: Not yet fully known — Docking Bay 7 Food and Cargo will open on August 29, 2019. However, Disney has confirmed that the menu will include Oven-Roasted Burra Fish, Smoked Kaadu Ribs, Fried Endorian Tip-Yip, a Raspberry Creme Puff, Chocolate Cake, and MUCH more. Take a look at the upcoming menu options by clicking here! Docking Bay 7 and Cargo will be remarkable for the Delivery Ship parked on its roof.